If you want to play HEVC-encoded movies on devices that don’t recognize this new codec (also known as H.265), you’ll probably have to convert them to H.264, DivX, or some other standard. The good news is you don’t need any special x264 or x265 encoder – a universal conversion tool would do just fine. 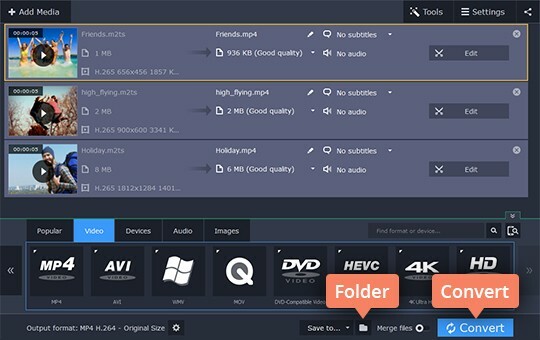 Movavi Video Converter is exactly that, supporting not only H.265* and H.264 but dozens other media codecs and containers. 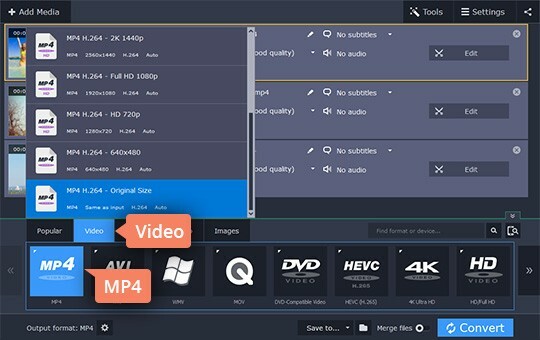 Choose the one that best suits your needs between AVI, MKV, MP4 (MPEG-4); MP3, FLAC, AAC; JPG, PNG, TIFF, and many others for iOS- and Android-based devices; PlayStation, Xbox, and lots more. This software also provides one of the fastest and easiest ways to rip DVDs and Blu-rays. H.265 or HEVC (an abbreviation meaning “High Efficiency Video Coding”) is a new video compression standard developed as a successor to H.264 (AVC). H.265 offers a substantially increased compression ratio without compromising the video quality level. Designed with next-gen Ultra HD and HDR TVs in mind, it supports a wide range of resolutions (including 720p, 1080p, and 4K) up to 8K and up to 10-bit color depth. So what’s the difference between the two codecs? Both work in a similar way by finding redundant video frame areas and replacing them with short pixel descriptions. In comparison with H.264, the H.265 encoding technology expands these areas into blocks of larger size – up to 64 × 64 pixels (16 × 16 in the previous codec), which helps drastically improve the data compression ratio. Other features of the new H.265 standard include better parallel processing methods for more effective compression and higher resolution video (up to 8K compared to up to 4K in H.264). 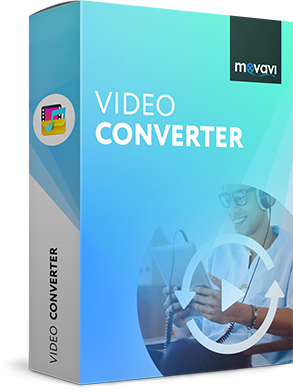 Just download Movavi Video Converter for PC or Mac and read this step-by-step guide to convert H.265 at lightning speed. Launch the downloaded file and follow the installation instructions on your computer screen. 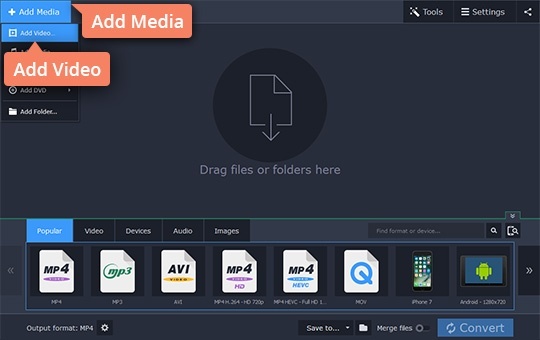 Go to Add Media > Add Video in the upper left corner and add the files you want to convert to the HEVC encoder. Open the Video tab. Find a preset group like MP4 and pick the appropriate preset – for example, MP4 H.264 - Original Size. Click the Cogwheel button to change the preset settings like bitrate or frame size. To change the destination folder for your files, click the Folder icon in the lower part of the transcoder interface. Once everything is set, click Convert. In as fast as a couple of moments, your files will be ready for playback. * Note. The codec is supported only in Movavi Video Converter Premium on systems with Intel® HD Graphics 5300, NVIDIA® GTX 950, or higher graphics card.